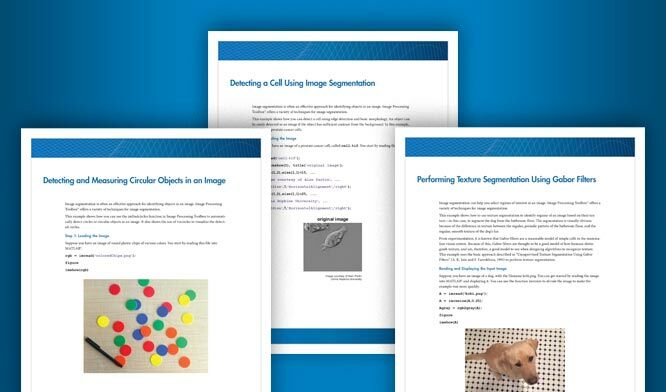 Perform pixel operations, local filtering, morphology, and other image processing, on 3-D data sets. This example shows how to convert 3-D MRI data into a grayscale intensity image of superpixels. 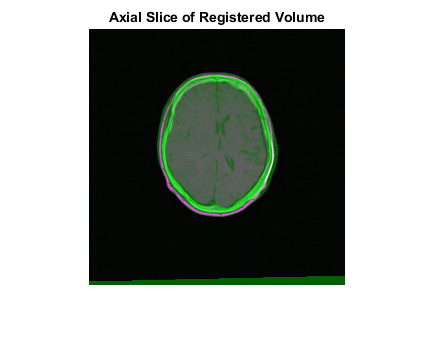 You can view perpendicular cross-sections of 3-D volumetric data using the Volume Viewer app. Adjust the rendering to reveal structures within the volume. You can view 3-D labeled volumetric data using the Volume Viewer app. You can view the volume and the labeled volume simultaneously and change the opacity and colormap. Align two volumetric images using automatic intensity-based image registration. 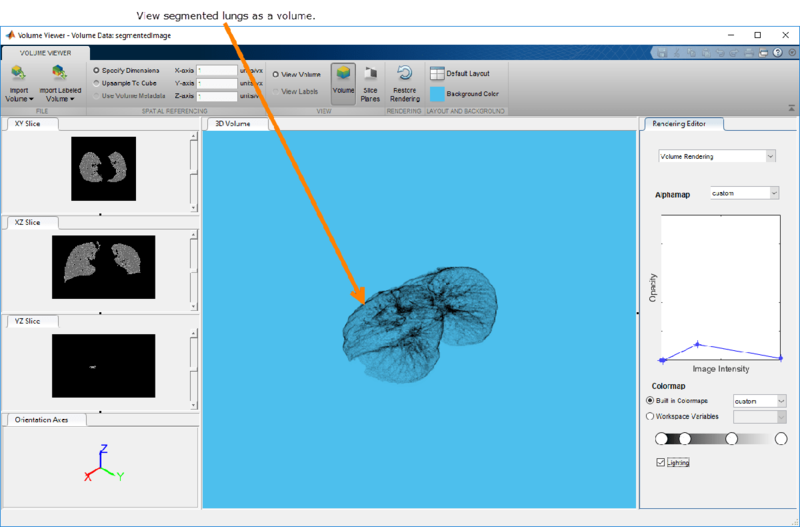 Perform a 3-D segmentation using active contours (snakes). You can view the results using the Volume Viewer app.